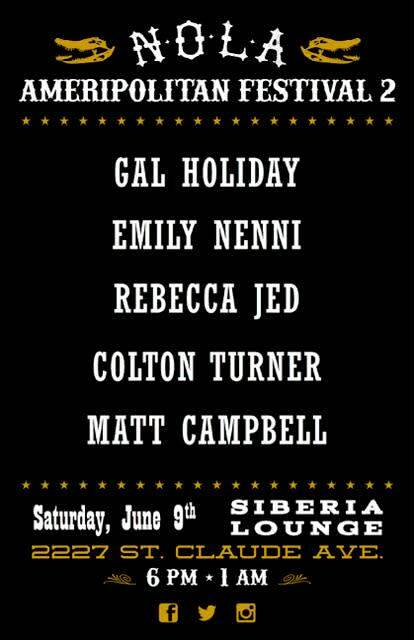 NOLA Ameripolitan Fest 2 will take place on Saturday June 9th at Siberia Lounge. It will start at 6 PM. 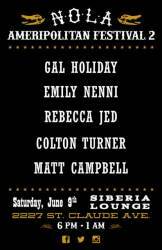 Ameripolitan is original music with prominent Roots influence in Honky Tonk, Rockabilly, Western Swing, and Outlaw.